If you haven't watched season one, head over to our season one page as these episodes and their titles may contain spoilers! 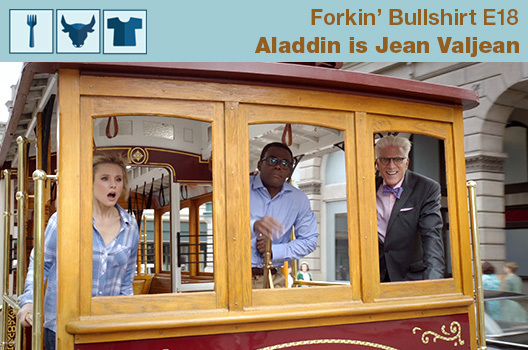 Forkin' Bullshirt is a weekly podcast in which your hosts, Vivienne and Jason, discuss the story, the characters, and the philosophy. This podcast is mostly spoiler free! 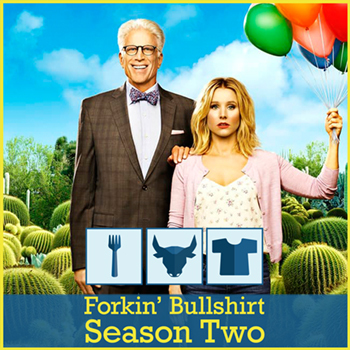 For season one we have a spoiler section at the conclusion of each episode for those who have watched until the finale, and season two was recorded while the show was on, so it is spoiler free. 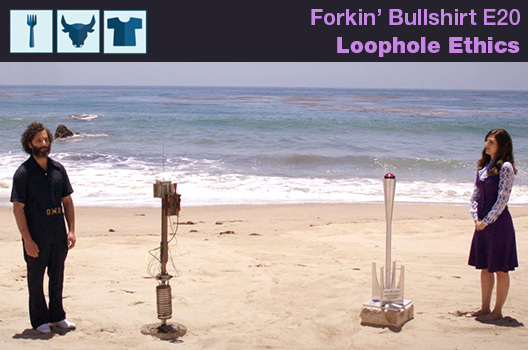 Subscribe to Forkin' Bullshirt on iTunes, or via RSS. Theme music: Transcendental by Akoviani. Round two of Michael's plan has begun! When Eleanor finds the note she left for herself, she is determined to discover the meaning behind it. The Good Place has been reset... again. And again.... and again. 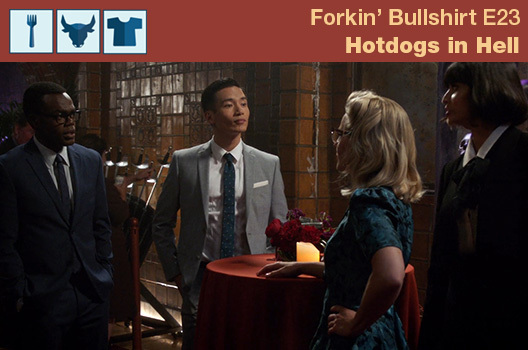 Join us as we discuss all the juicy details, and dig in to a delicious cup of clam chowder. Our group of misfits meet with Michael to discuss their only option of survival. 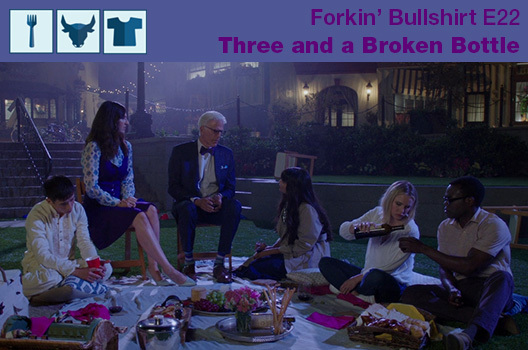 Eleanor has a hard time agreeing to his terms, and Tahani learns a hard truth. While trying to help Michael understand mortality, Eleanor and Chidi accidentally send Michael into an existential crisis. Michael has difficulty grasping the significance of 'The Trolley Problem', an ethical thought experiment. 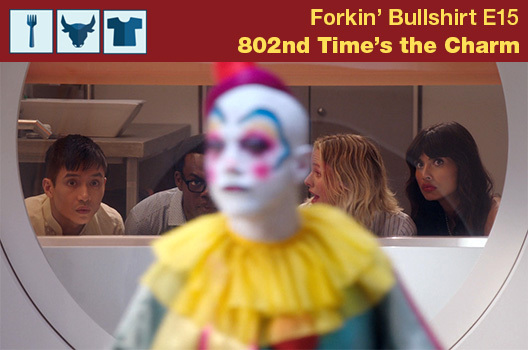 Tahani and Jason come to Dr. Janet with their troubles. Janet and Michael need to sort out why she is glitching. We discuss Janet's developing personality, personhood, and power potentials. Possibly for the last time! 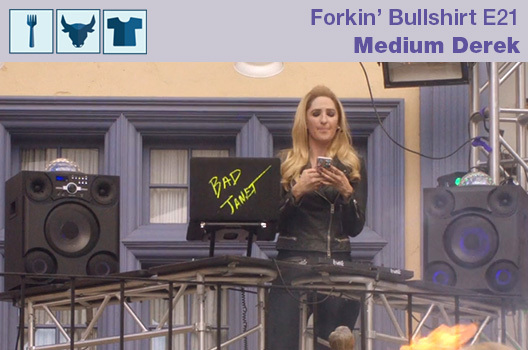 Janet flexes her creation muscles and creates a rebound guy to get over Jason. Tahani and Jason make a big announcement! The jig is up! 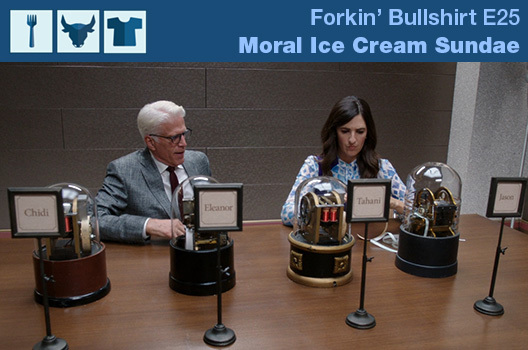 Shawn wants to promote Michael for his great work on 'The Good Place', and send Team Cockroach to get tortured in the Real Bad Place! 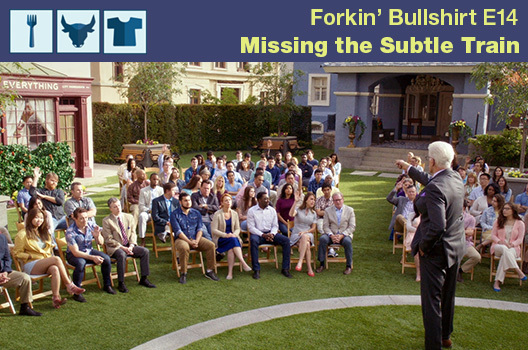 Michael's got a plan to sneak the humans into The Good Place - but they have to be their best selfs in order to get there! Team Cockroach has infiltrated The Bad Place during the worst time possible! Our four humans must don disguises and pass undetected amongst the demons! In the penultimate episode, The Judge has agreed to give our four humans one final test. 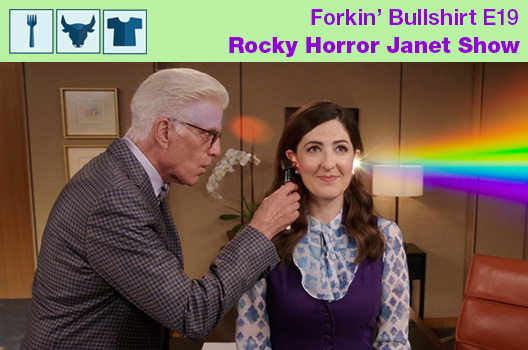 Will Team Cockroach pass and get access to The Good Place, does Gen have a few tricks up her sleeve? 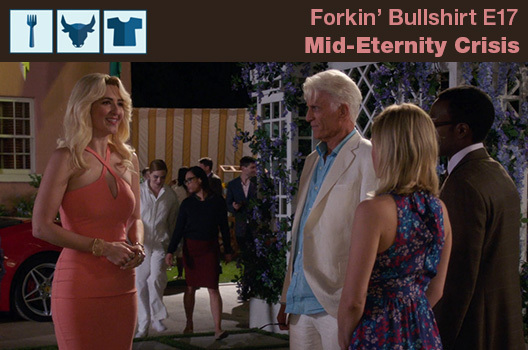 In the season two finale, Michael asks Gen to do something unprecedented - something that may change the afterlife as they know it, and shake the whole system up at its core. All done with season two? 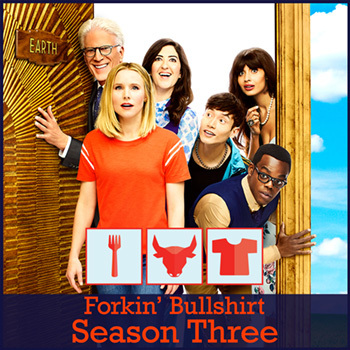 Head over to our season three page!